After Iraqis celebrated the inclusion of their marshes on UNESCO’s World Heritage List two years ago in July 2016, it was expected that a new stage of recovery and prosperity throughout all of the Iraqi marshlands would begin, that this international recognition would end years of neglect and resulting environmental damage. However, this hope quickly faded due to continued negligence on the part of the Iraqi government and a failure to alert the world’s attention to the marshes as an international heritage. The failure to enact clear policies protecting this rich heritage is the cause of urgent environmental and humanitarian crises (severe drought, clean water shortages, power outages). And these crises have in turn galvanized local and international organizations to take action. The Marshes Festival, collectively organized by a number of civil society groups and located in the heart of the marshes themselves, was a response to governmental neglect and a call for change. Participation was extensive and included: the Humat Dijlah Association, the Nature Iraq Organization and the Mashufna Cultural Center/Information Center for Research and Development. The festival was held within the central marshes of the Chibayish district of Dhi Qar province on 19 June 2018, just a few days before the UNESCO World Heritage Committee meeting in Bahrain which would discuss the marshes and highlight which international recommendations on file had been achieved, ultimately determining whether the marshes will remain on the World Heritage List. The festival received wide media coverage from both Iraqi and international media outlets, and the urgent message about the magnitude of the danger now facing the Iraqi marshes was spread throughout the world. The environmental destruction and the human suffering caused by continued neglect of the marshes were made clear, the most prominent being low levels of water and the constant threat of drought, which puts all existing life forms in the marshes in jeopardy. Thriving biodiversity and normal levels of population activity are also at serious risk due to rising pollution and the resulting disease and epidemics which kill humans, wildlife and native flora. Policies must be put into place which prevent the dumping of sewage directly into rivers without treatment (including waste composed of solid and non-biodegradable materials and chemicals), for all this then flows straight into the marshes. These are long-standing problems that people who live in the marshlands have talked about for years, with increasing bitterness and anger. Mr. Mustafa Samad, one of the shekhs of the Chibayish district, opened the festival by welcoming guests who came from other Iraqi provinces and other countries to show their solidarity with the people of the marshes. Then Dr. Franco Dagostino, a well-known archaeologist and head of the Italian exploration mission in Iraq, spoke on behalf of his international colleagues about the international community’s understanding of what the Iraqi marshes are going through and what it represents for human civilization and the world. He expressed his firm support for any movement aimed at protecting these natural wonders. The festival also witnessed the launch of a book entitled Iraqi Negotiator and Ilisu Dam which presents a reading of the 1997 Convention on the Law of the Use of International Watercourses for Non-navigational Purposes. The author of the book, Dr. Ismail Dawood, presented a brief summary of the central ideas raised in the book including some tactics and strategies the Iraqi negotiator might use to obtain water rights when negotiating with upstream countries. Dr. Dawood, who was one of the founders of Save the Tigris Campaign six years ago, also highlighted the active role civil society must play, for instance, by making clear and unequivocal demands to the Iraqi government about how to move forward negotiations with Turkey and Iran on these urgent water issues. He pointed out that the countless delays already witnessed by this file will only lead to further water disasters in Iraq. Dr. Dawood concluded bu calling on the concerned parties to take a firm and clear position with Turkey and Iran about this water emergency, one that stands apart from and above other political interests. The environmental expert Jassem al-Asadi, representative of the Nature Iraq Organization, and one of the organizers of the festival, presented a comprehensive review of the fluctuation of water levels in the years before the inclusion of the marshes on UNESCO’s World Heritage List. He then contrasted this with levels after the inclusion, indicating the magnitude of the damage suffered by residents of this region. Al-Asadi has a personal stake in this issue as he is himself a resident of the Chibayish marshes, and one of the activists studying and documenting the water situation there. 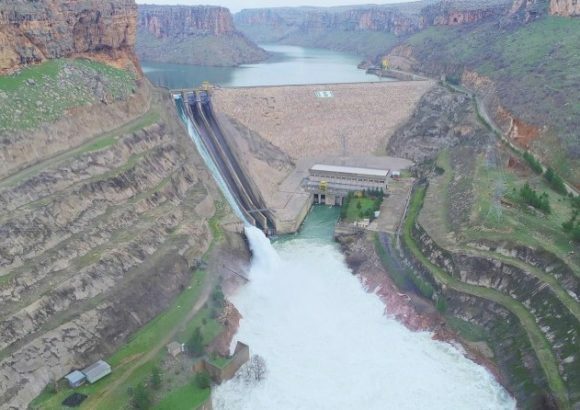 Salman Khairallah, representative of the Humat Dijlah Association, spoke about the ongoing struggle of Humat Dijlah in all Iraqi governorates to increase environmental awareness about the importance of protecting nature and water in Iraq. He pointed out that the youth movement of Humat Dijlah, which started in Baghdad three years ago, is now active in more than 10 Iraqi cities, and that the concerns of the association are not focused on protecting the Tigris River only, but on protecting all water sources in Iraq, whether major rivers, sub-tributaries, natural and industrial lakes, wetlands or marshes. Other activists and academics contributed to the event, raising awareness about the importance of protecting the heritage of Iraq and its historical legacy, such as Dr. Abdulamir Al-Hamdani and the expert Rashad Salim, who came from Britain to participate. 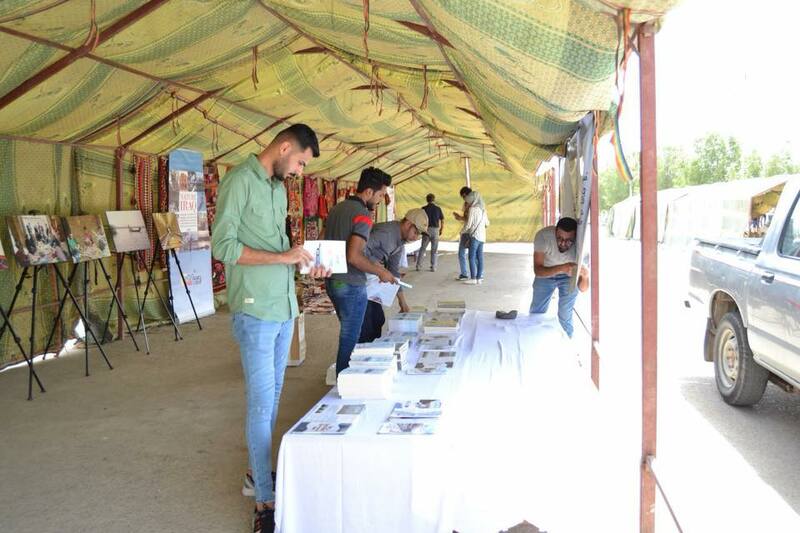 The festival also included a bazaar with exhibits from several participating teams and organizations, including the Maysan Social Forum, the Save the Tigris Campaign, the Mashufna Cultural Center, Humat Dijlah and Nature Iraq. Dr. Dawood also took the opportunity to sign copies of his book and give it to some participating individuals and organizations. The Marshes Festival was organized by the Humat Dijlah Association and the Nature Iraq Organization, in cooperation with the Mashufna Cultural Center and the Iraqi Social Forum, in partnership with the Italian organization Un Ponte Per.., the Iraqi Civil Society Solidarity Initiative and the Save the Tigris Campaign. It received funding from the European Union, and the French CCFD.